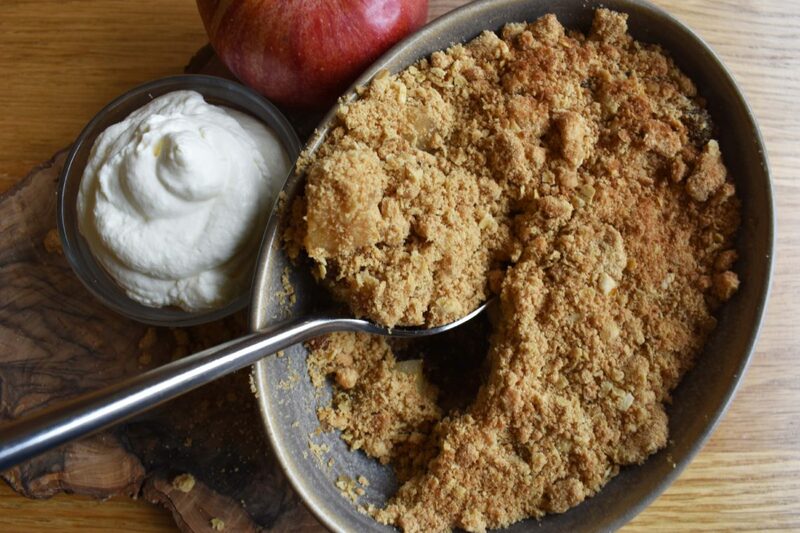 There is nothing that looks better or is more comforting than hot apple crumble with custard or fresh cream. 25g-50g of light brown sugar (depending on the apples). 1 tablespoon Calvados or Marsala. 3. Check the sugar adding more if required. Remove the vanilla pod. fingers to make a fine crumb. 5. Fold in the oats and the sugar. 6. Place the cooked apples into a pie dish and scatter the crumble on top. 7. Bake at Gas Mark 5 for 30 – 40 minutes or until golden. 8. Serve with double cream or for a little extra comfort hot custard.